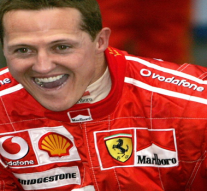 The Formula One hero Michael Schumacher 45 is dumped by many wealthy sponsors after his severe head injuries last year in December during a ski dive with his family and friends. He was quickly taken to the hospital by jets. The veteran racer is wheelchair-bound, unable to speak and paralyzed. In recent report, Michael Schumacher is recovering from coma but still paralyzed, unable to speak and on wheel chair. But this effect on Michael Schumacher’s relations with sponsors who have doubts in Michael recovery and stepping back slowly. According to Swiss news “Bluewin” the poor soul who is at recovery stage has lost several million pounds from companies. The companies who ties commercially with Michael are Jet Set, Navyboot, Rosbacher quit contracts with him earlier year. “It is not easy for Schumacher’s sponsors: paying out millions of Swiss francs per year and receiving nothing back since the crash.